I promise, this is the last time I’ll talk about this. Anyway, there’s no more need to talk about this. It’s all over now. Old news, a new year and new news. Let’s see. I don’t even know where to start. This post just got put off more and more until I’m not sure what the point of it was any more. I wanted to get back into the swing of things, but the problem is I’m not sure where the swing has got to in the time I’ve been out of the blogging loop. Right now I feel like this swing is on one of those merry-go-round things where they strap you into the swing and then start spinning you around faster and faster until you’re flying almost straight out. *rapid blinking* Okay, that was an overly-extended metaphor. I meant to post this yesterday, actually, but my stupid internet died. Anyway, yesterday, the 29th of November, is a day to go down in my history book. Why? Here’s a bulleted list of reasons. Everyone likes bulleted lists, don’t they? Well, hello blog. Yes, I am still alive. Remember that I said I still have to acknowledge all of the people who are far too good to me and decided to honour me with awards? No? Well, it has been far too long ago. Anyway, whether you remembered and anticipated or not, this is that post. Yes, just like that. First up, the Versatile Blogger Award. (Which I keep referring to as the Awesome Blogger Award and then embarrassing myself.) After Freshly Pressed, three people decided to overwhelm honour me with this award. However, as I’ve said before, I received this award once before and it feels too odd to do the whole acceptance post-thingie all over again (also, I’m lazy), so you can just go and read my gushing post of last year. However, I am very grateful to those three people, Char, Yoongz and Showard76, for thinking of me and I thank you all humbly. 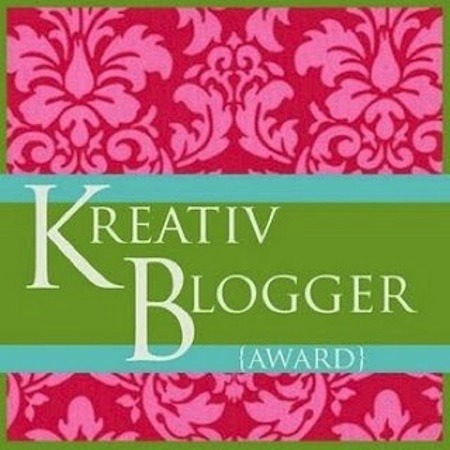 Secondly, and last for this post, at least… The Kreativ Blogger Award, awarded to me by Justin Kirby. Thank you so very much! 1) Thank the blogger who presented you with the award. 2) Post a photo of the award. Oh! I like that wallpaper! It looks almost like fleur-de-lis. 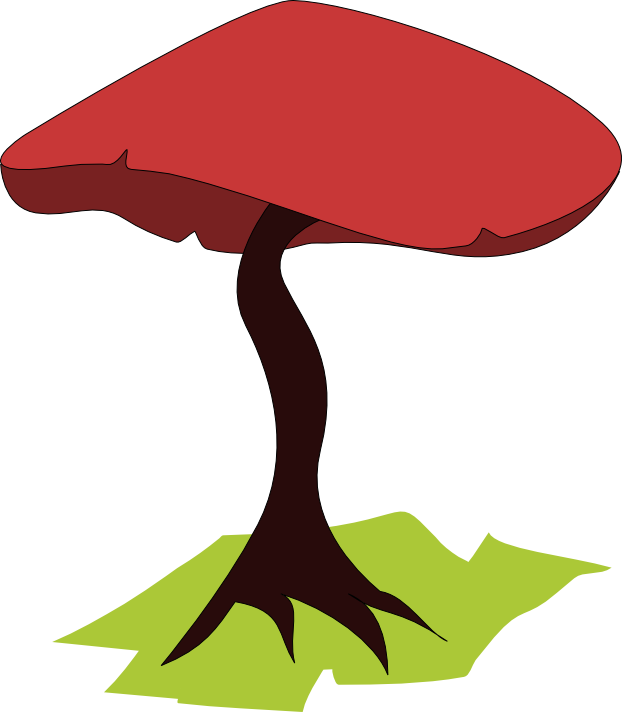 Or some heavily stylised plant anyway! 3) Share ten things about yourself readers don’t know. Char helped me out again a little here, by giving me some questions to answer in my last post. (I tell you, she’s far too good to me!) Thanks, it helped a lot! 1–What are you majoring in? Pure languages. My personal focus is on English editing, because that is what I want to be when I grow up (Why do I keep on using that expression? I’m 20, for cat’s sake!) – an editor. Well, actually I want to be a writer, but I need a day job as well! Ugh… my mother would tell you in detail what a picky eater I am. I don’t think I’m that bad, but there are still some things that I refuse to eat. Tomatoes are one of them. But the chief thing that I cannot believe how people can eat it is offal. Oh goodness no, the smell alone is enough to send me running for the hills. Blergh! 3–What’ the scariest thing that’s ever happened to you? Fie, fi, fo, fum, fo, I don’t know. When I was 14, my father had a heart attack. That scared me badly and I had to grow up fast, but it could not beat what would happen later. In the subsequent years he had several illnesses. When I was 18 and writing my final exams at the end of high school he was in hospital again. He had a bad reaction to the intravenous antibiotics and spent a very bad night. The next morning, when I had to leave for school to write History, it was still too early to call the ward to hear how he was. So I had to go without news until the afternoon. Actually, I was pretty convinced that he was dead, that’s how bad he’d looked the previous evening. I’ve never been so scared before. 4. I’m a teetotaller and have been one since I was about 16. No, I did not have a drinking problem before. 5. I had braces when I was 13-14. Some of my teeth are still crooked, but at least it’s better than it was before! 6. 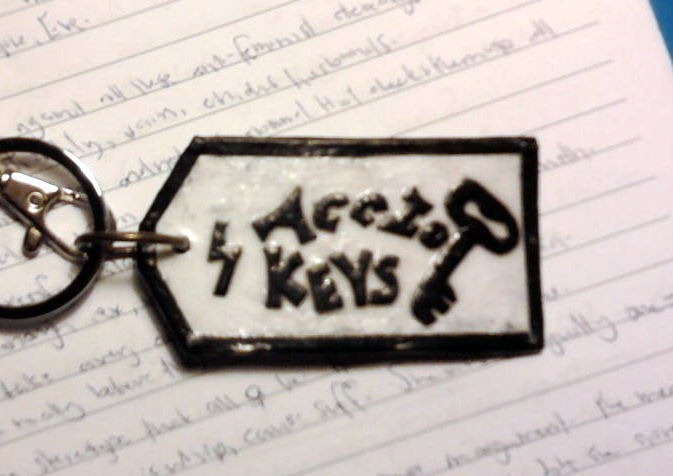 I recently made this key ring and I’m very proud of it! 7. I’m counting the days until the release of the Hobbit-movie. Ack, it’s still over 200 days. So far! Such torture! 8. I own 16 of the Discworld-series stories by Sir Terry Pratchett. (16/39 – yay!) Well, actually it’s 15 books, because my first two stories are in the omnibus edition. 9. I still have some of my soft toys that date from my childhood on my bed. I’m not getting rid of them, whatever anyone says – they’re way too much a part of me. 10. Measured from the top of my head, my hair is about 12 inches (30 cm) long. Bleiighdsfo, why was that so hard?! I’d rather talk about books than about myself. 4) Choose six people to present this award to. 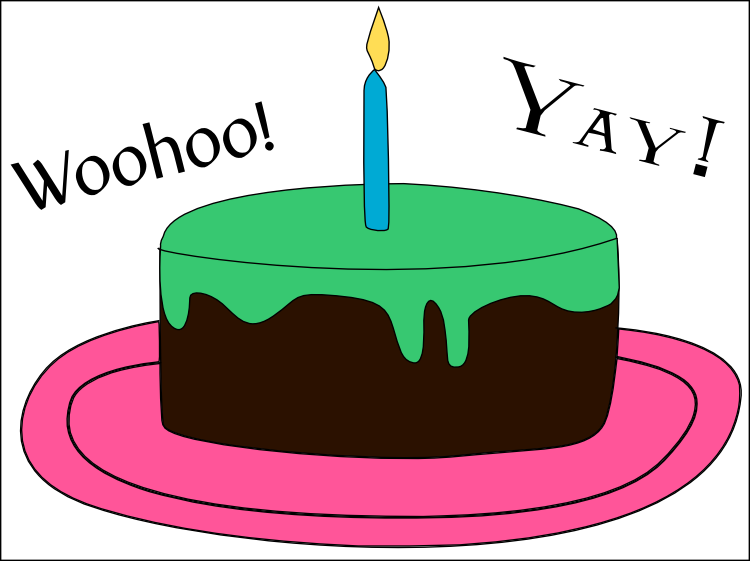 http://joyinthemoments.com/ – I’d like to pass this on to Charissa to say thank you for all the comments and also great blog! http://mcolmo.wordpress.com/ – I really enjoyed their latest post about inner nerds. I could so identify with it, and also the rest of this “kreativ” blog. http://eccentricowl.wordpress.com – This is because I can. And also because I admire Mara’s ability to reinvent her blog in new and creative ways. http://teenagetaste.com – There is something about Erika’s blog that simply draws me. Talk about being creative about food, exercise and teenage life! Well… I did better than last time! See? 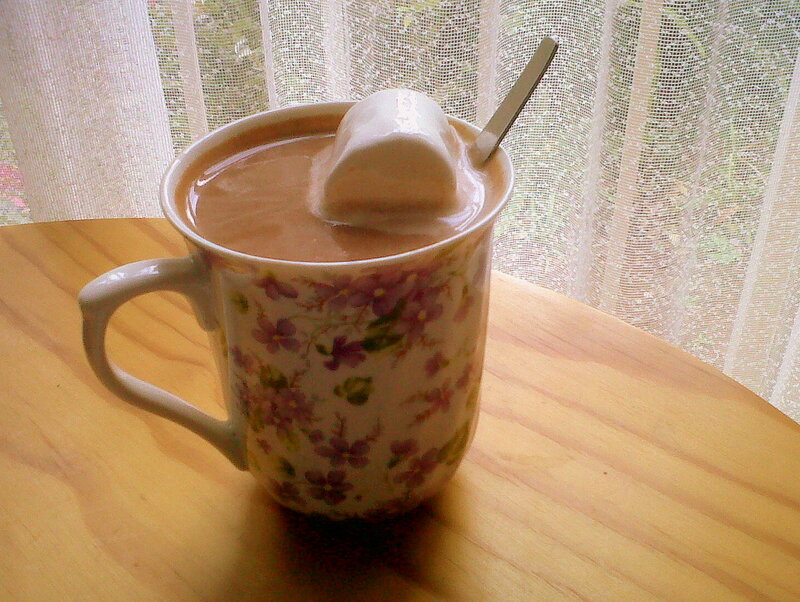 Come comment and I’m going to consider your blog for merit. 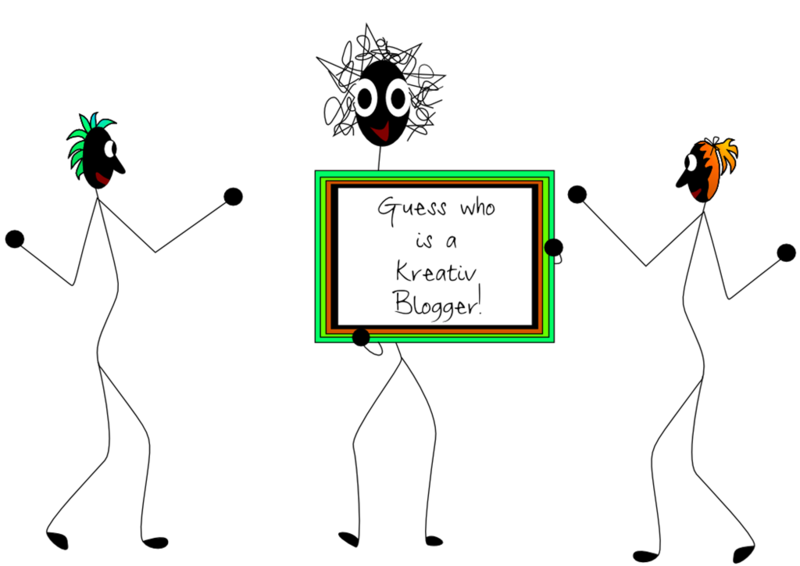 Now you know how to get your blog nominated for awards! 5) Let the six bloggers know they have won! Check! Now I’m officially going to be outed as a stalker! And that wraps this humongous rambling post up! I’ll try to be back soon with some drawings, but until then: keep safe everyone and be creative! PS. 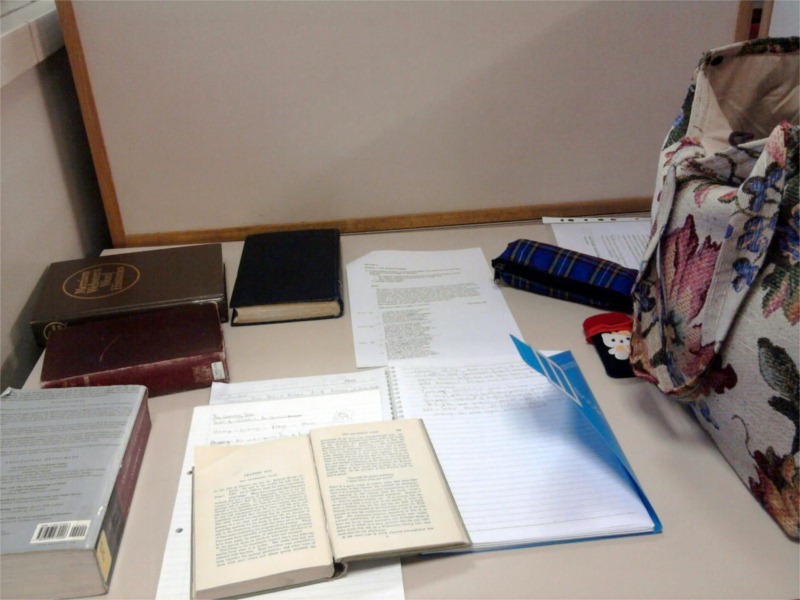 This was my table in the library today. Thought you’d enjoy the amount of thick books that just suddenly materialised on it.